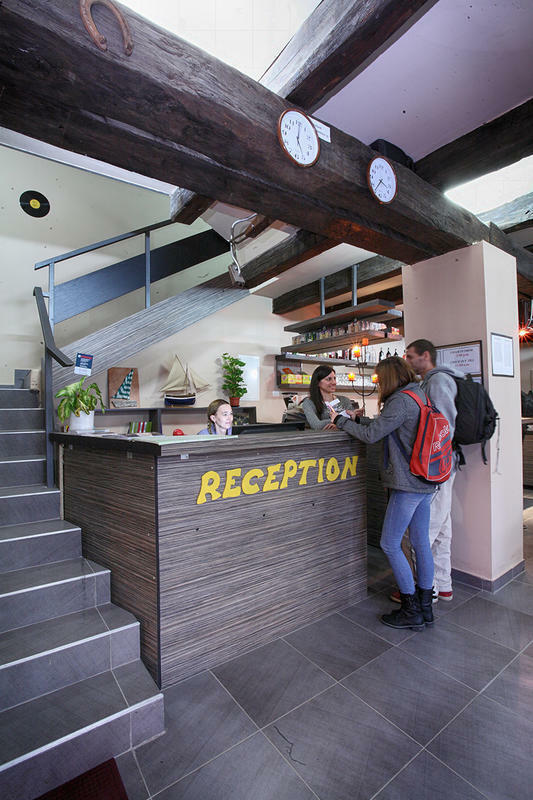 We have different type of rooms with comfortable beds and air conditioning, nice bathrooms (each with high-pressure hot showers), big common room, fully equiped bar with cheap drinks, outdoor terrace,laundry service, 24 hour reception, free Internet and Wi-Fi. 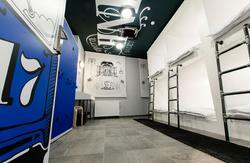 Our facilities also include free lockers and free bed linen. 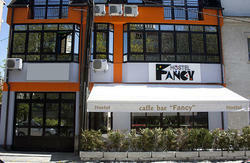 My Way hostel is very easy to find because of it's perfect location. Take tram number 6 (in direction Črnomerec), number 8 (in direction (Mihaljevac) or tram number 2 (in direction Črnomerec) and go down on 2nd stop. Tram ticket costs 12 kn and you can buy it on every newsstand. Tram will stop in front of Branimir shopping center so when you exit the tram you have to go back 10 meters and turn left in our street called Trpimirova. We are on the left side of the street just after the casino on number 4/1. You can also walk from the bus station. If you are in front of bus station just turn left and pass the taxi stop. Go beneath the overpass for the train, turn left in Branimirova street, from there you have to walk about 200 meters and then turn right in the 4th street called Trpimirova street. We are only one tram stop away from train station so you can easily walk from there. If you are standing in front of the train station go right (there will be a tram stop and a big park in front of you). From Branimirova street you go to the 4th street on the left (just after you pass Branimir shopping center). We are on number 4/1 just behind the casino. If you decide to take the tram just take any tram that goes from the tram stop that is closer to the train station and go down on the first stop. You have to then cross the street and go right (pass in front of Branimir shopping center) then turn in the first street on the left called Trpimirova. The shuttle from the airport goes to the main bus station after every incoming flight or every 30 minutes. Ticket for the bus costs 30 kn and you can buy it only in the bus. Bus will leave you at the main bus station and from there you can use our directions from the bus station. We can also organize airport transfer for you for about 100-120kn depending on how many people there is for the transfer, so in that case you can contact us through email.